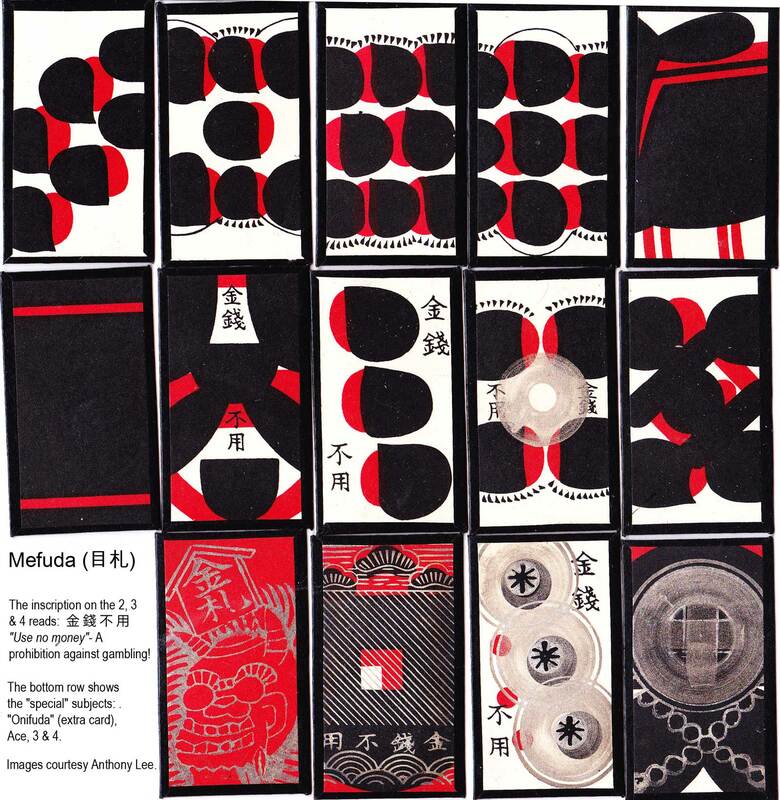 Kabufuda cards are directly descended from the original latin-suited Portuguese playing cards imported into Japan during the 16th century. 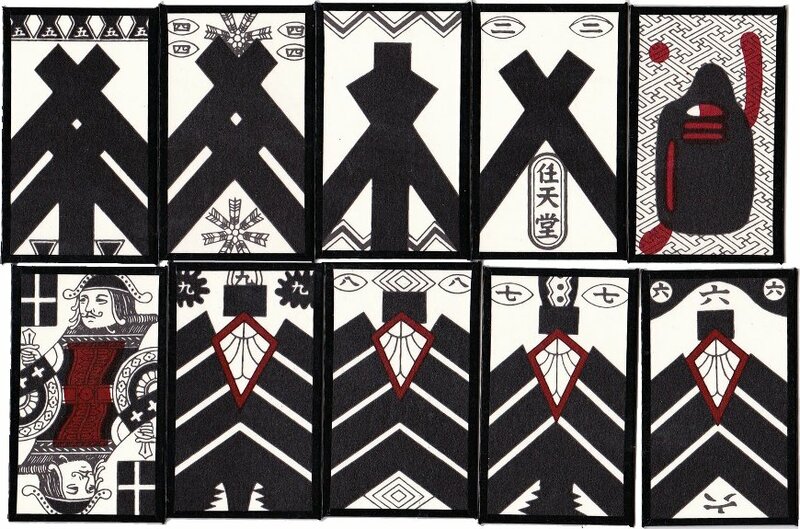 When the Portuguese came to Japan the locals copied their cards and they are still in frequent use today. 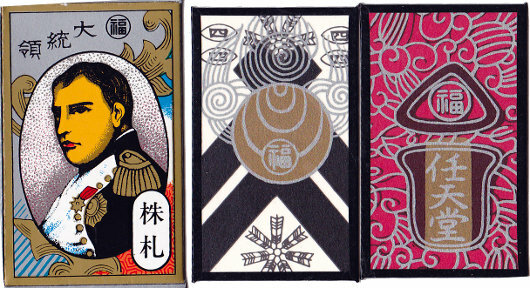 However, only one suit is used, copied four times: the cards in the suit of batons have been stylised, with values running from 1-9 + Knave (counting as 10). The Knave follows the double-ended European design. This series of cards is repeated 4 times, giving us a complete deck of 40 cards. The wrapper (shown right) for some reason has a portrait of Napoleon.